By Achel Bayisenge, Communications Manager, World Vision Burundi and Bryna Jones, Communications Coordinator, Education and Life Skills, World Vision International. Children’s early grade reading skills are generally poor in Burundi. The situation is even worse in rural areas where children may not have access to books in their local language or highly skilled teachers. At endline 88 per cent of Literacy Boost students were considered “readers,” significantly more than in comparison schools. By working with the community and the Ministry of Education, World Vision and Save the Children have seen positive increases in the number of Literacy Boost students who are reading with comprehension. The endline assessment, carried out in 2014, showed that participation in the programme was positively correlated to reading skill gains. At endline 88 per cent of Literacy Boost students were considered “readers,” significantly more than in comparison schools. Girls in particular benefited from Literacy Boost, outperforming their counterparts in comparison schools in letter knowledge, fluency, accuracy, and reading comprehension. Nine-year-old Anick is one of those girls. Anick is a grade 4 student attending primary school in Cankuzo Province. She began participating in Literacy Boost’s in- and out-of-school activities when she was in grade 2. Her participation in the programme has made a big difference in her reading skills, and in the way her family views their role in Anick’s education. 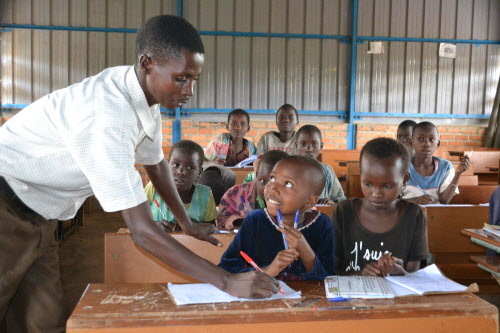 Victor is one of nearly 200 teachers who have been trained in Literacy Boost methodologies in Burundi. His classroom is now more student-centred and he’s learned how to create teaching and learning materials that create a dynamic classroom environment. He often calls on children who attend reading camps to help other students and to read during lessons. Victor used to read to the children himself but since his training he provides the children with more opportunities to read to their classmates. “This project raised our awareness that our children can do better in class if only we help them know how to read and write at early age,” says Anick's father, Emmanuel. After school and on weekends, Anick and her friends participate in reading camps – community spaces designed for children to learn how to read by having fun. The reading camps are organised by community volunteers who lead the group in songs, stories and crafts that reinforce the literacy skills they’re learning in school. 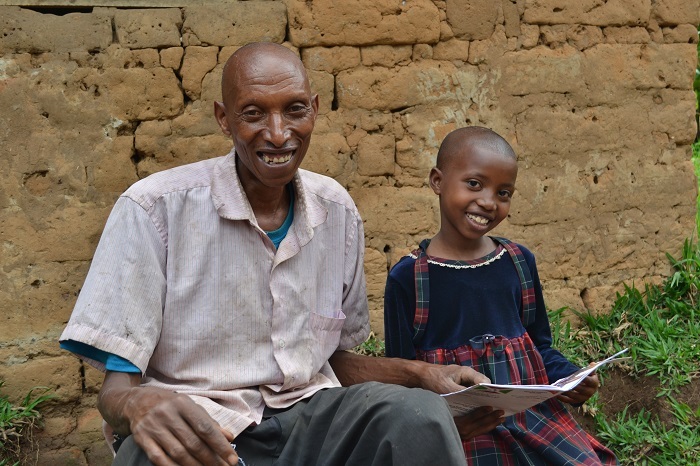 Anick’s father, Emmanuel, also participated in Literacy Boost through parental awareness sessions that taught him how to support Anick as she learned to read. He regularly talks to Anick and her friends about what they learned in school and helps them practice reading. Emmanuel was so impressed with Anick’s progress that he became a Literacy Boost volunteer himself, and now facilitates a nearby reading camp. “This project raised our awareness that our children can do better in class if only we help them know how to read and write at early age,” he explains. World Vision first introduced you to Anick and her father in 2014, when we took a film crew to Cankuzo Province to document the work being done through the Literacy Boost programme. At the time, Anick was only seven-years-old, but already proving to be a bright student. Emmanuel and his family opened their home to our team and allowed us to work with Anick to tell the Literacy Boost story. When Achel interviewed Emmanuel for this follow-up story, he remembered his time with our crew fondly. He asked how everyone was doing and said how happy he had been to have the team visit them, laughing as he recounted memories from the experience. Literacy Boost is a copyrighted tool designed, developed, and owned by Save the Children.